ISLAMABAD -- Journalists in South Waziristan are complaining of attempted intimidation by militants, Geo News reported Monday (December 12). The Tehreek-e-Taliban Pakistan (TTP) in South Waziristan recently distributed pamphlets in Rustam Bazaar in Wana, threatening local reporters for filing "false reports", journalists said. The pamphlets accuse reporters of taking "instructions from a government official" and say the TTP does not want any reporters in South Waziristan. At least four journalists have been killed in South Waziristan, the birthplace of the TTP, in the past several years. 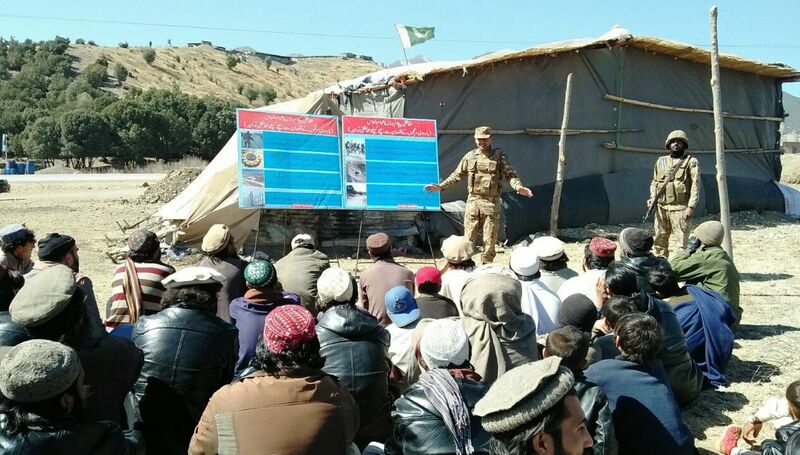 An ongoing awareness campaign is teaching locals in Waziristan how to recognise IEDs, land mines and other explosive devices left behind by militants.